In January, Russia's most powerful operational rocket faced a new ban on all its launches for at least a half a year, as the nation's space officials tried to sort out egregious quality control problems within the industry. Roskosmos State Corporation had to recall all the engines of the Proton rocket in the wake of serious violations of their manufacturing procedures. As a result, Russia began 2017 with practically its entire rocket fleet grounded. 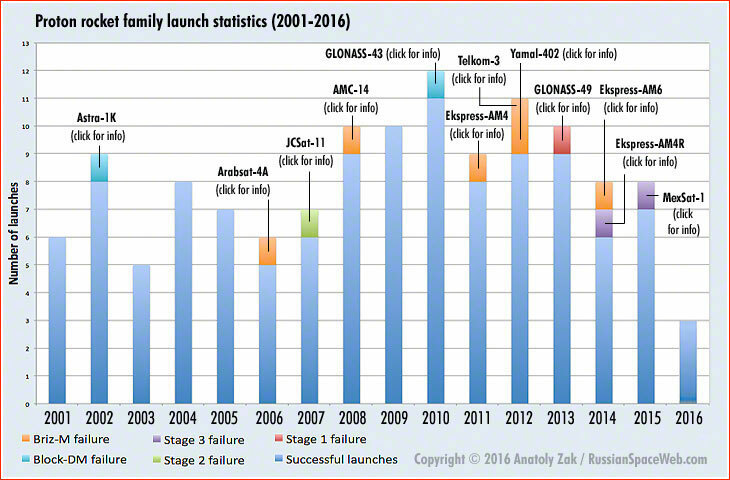 From 2001 to 2016, Proton flew 129 missions, 12 of which had failed. In January, increasingly gloomy rumors about the state of affairs with Proton and its manufacturer -- GKNPTs Khrunichev -- circulated on the Internet, however the company vehemently denied any serious problems with the rocket. On January 23, the Kazakh-based division of the Interfax news agency reported the likelihood of an unusually lengthy delay with Proton missions, which could last several months. A day later, the Kommersant newspaper reported that a recent firing test had revealed technical problems with RD-0210 and RD-0212 engines, which propel the second and third stage of the Proton rocket respectively. The failure of the engine was reportedly traced to a replacement of precious heat-resistant alloys within the engine's components with less expensive but failure-prone materials. The report in the Kommersant echoed the results of the investigation into the 2015 Proton failure, which found that low-quality material in the turbo-pump shaft of the engine had led to the accident. According to industry sources, the ominous issue with Proton's engines was discovered after a routine static bench test, known as KVI (a Russian for the Control Selection Test), which normally uses a random engine from a manufacturing batch. (The KVI test lasts as long as the operational firing of the engine unlike the Technical Control Test, KTI, which fires the engine for just 60 seconds.) Although the engine had fired successfully on the stand, the subsequent chemical analysis of its parts revealed that a solder used to integrate the fuel injectors of gas generators in the RD-0210 and RD-0212 engines was not matching the production documentation. The chemical composition of the solder is critically important due to its interaction with the material of solder joints designed to withstand extremely high temperatures inside the gas generator, which turns liquid rocket propellant into super-hot gas. According to specifications, the structural walls and the fuel injector of the gas generator had to be fused together with the help of the solder designated G70NKh, which employs nickel, chromium and manganese alloy (Ni-Cr-Mn). However the investigation revealed that due to mismanagement of the raw material usage at the Voronezh Mechanical Plant, the required alloy had been mistakenly replaced with the PZhK-1000 solder comprised of palladium, nickel, chromium and silicon (Pd-Ni-Cr-Si), which has a differnt melting point. Because the replaced solder did not meet specifications, it could lead to structural disintegration of the fuel injector during the firing of the gas generator. The discovery of the problem with the solder triggered inspection of other engines and revealed that up to 71 RD-0210 and RD-0212 engines from the second and third stages that had been manufactured during 2015 and 2016 could have been equipped with defective gas generators. Fortunately, none of them was used in flight. In order to re-certify these engines for flight, they would have to be disassembled, the gas generator would have to be removed and replaced, followed by the re-assembly and re-testing of each engine! Had the technicians, who were taking the fuel injectors through a special baking process, first tested the melting of the solder, they would have seen that its melting temperature was too low and the entire botched production could have been avoided. However the standard manufacturing procedure requires testing the alloy only at the factory acceptance, not prior to the baking. Ironically, the PZhK-1000 solder employing palladium is actually more expensive than the correct G70NKh solder, despite reports to the contrary in the Russian press. Palladium currently runs at around $800 per ounce, making it almost as expensive as gold or platinum. 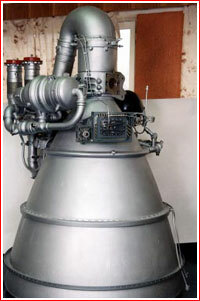 The "wrong" solder using palladium is used on the RD-0110 engine for the Soyuz rocket and, possibly, on the Block DM's engine. Early on, there was hope that as soon as the investigators could account for all the wrong solder material used -- just around 300 grams -- further replacement of fuel injectors could stop. However, if the accurate accounting of the material proved to be impossible, then all gas generators on 71 engines for 14 rockets would have to be refurbished. The replacement operation is very expensive, but Roskosmos committed to the program to ensure the guaranteed performance of the system. As of the end of March, the engine recall was still in place, industry sources said. On Jan. 20, 2017, Head of Roskosmos Igor Komarov chaired a meeting of the top managers at the Voronezh Mechanical Plant, VMZ, which manufactures rocket engines, including those used on the third stage of the Soyuz rocket and on the second and third stages of Proton. The high-profile meeting followed a decision to return already manufactured RD-0110 engines from Soyuz rockets back to Voronezh, after such an engine had been suspected as the culprit in the loss of the Progress MS-04 cargo ship on Dec. 1, 2016, as it ascended to orbit onboard a Soyuz-U rocket. According to Roskosmos, Ivan Koptev, Director General at VMZ, resigned due to poor quality control at the company and the January 20 meeting resulted in several decisions aimed at improving the production quality at VMZ. Behind the scene, Roskosmos apparently began searching replacement for the head of GKNPTs Khrunichev Andrei Kalinovsky as well. He officially stepped down in June. The veteran of KB Motor Aleksei Varochko was appointed the new head of the company. According to Kommersant, at the same meeting, Roskosmos also made the decision to recall dozens of Proton engines built at VMZ during the past several years. It also initiated a quality control audit at VMZ conducted by a team of experts from another leading Russian rocket propulsion company -- NPO Energomash in Moscow. Under the most optimistic scenario, the Proton could now reach the launch pad no earlier than June or July, the Kommersant said. As a result, Moscow found both of its main space transportation systems -- Soyuz and Proton -- grounded by quality control problems. To make matters worse, other rockets in the Russian fleet -- Zenit, Dnepr and Rockot -- were essentially lost to the conflict with Ukraine. 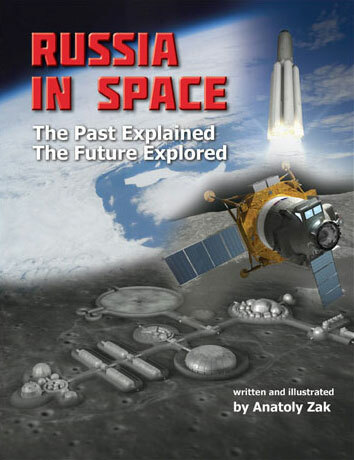 The grounding of the Russian rocket fleet came at the time of increasing competition on the commercial launch market, making the recovery measures even more urgent. On January 27, the European consortium Arianespace launched a Soyuz-ST rocket, restoring some confidence in at least one Russian-built rocket series and providing a morale boost for the beleaguered industry. 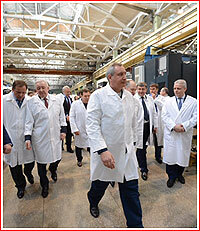 On January 28, 2017, Deputy Prime Minister Dmitry Rogozin visited Voronezh Mechanical Plant, VMZ, where he chaired a meeting of Roskosmos management. He announced that launches of Proton rockets would be resumed in three and a half months and all those responsible for falsifying production process and documentation at VMZ would be severely punished. He confirmed that engines on the second and third stage of Proton rockets would be replaced and that VMZ would receive "economic aid" for modernization. In March, managers at Roskosmos and GKNPTs Khrunichev reviewed the provisional flight manifest for the Proton, should the repair work on the rocket's second- and third-stage engines be successful. In the meantime, officials from the International Launch Services, ILS, which markets Proton to commercial customers, briefed representatives of the EchoStar satellite operator on the details of the engine recall and the corrective measures. The company's EchoStar-21 communications satellite was the first in line for launch on the Proton and the EchoStar's decision to proceed was crucial for the return to flight date and the subsequent flight schedule for Russia's workhorse rocket during the rest of 2017. Contingent on the success of the corrective actions, Russian officials hoped to return Proton to flight with the Echostar-21 satellite in May. 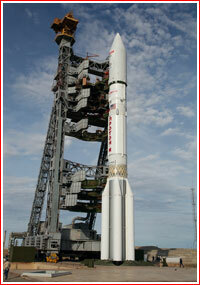 According to the Russian press, this launch was previously expected as early as April 29. Proton's commercial missions should continue with the launch of a communications satellite for the Spanish satellite operator Hispasat in July and by the Asiasat-9 satellite in October. In addition, the Roskosmos State Corporation and the Russian military planned up to four Proton missions in 2017, most likely, starting with the launch of the Blagovest No. 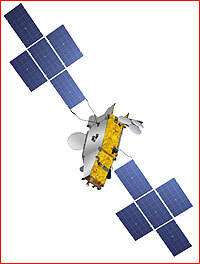 11L satellite for military communications between June and September. Another classified military payload could also be launched before the end of the year. 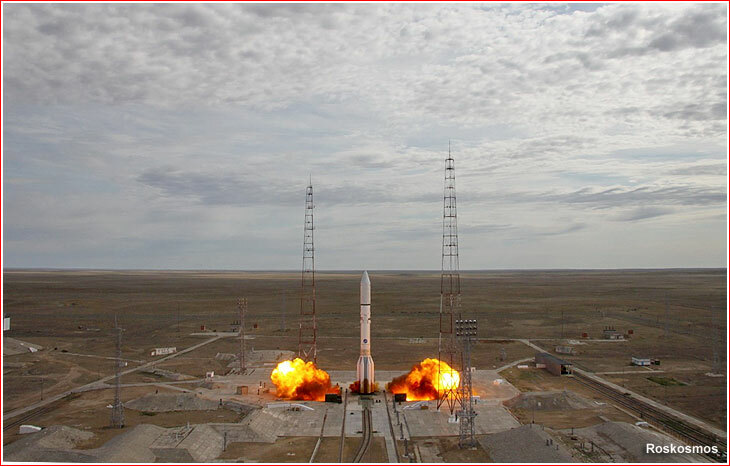 In addition, one Proton-M rocket with a Block DM-03 upper stage was being maintained in high degree of readiness for an on-demand launch with a trio of Uragan satellites to replenish Russia's GLONASS satellite navigation system. Officials familiar with Proton operations stressed that the rocket's current flight manifest was provisional and would be driven entirely by the corrective actions on the engines and their re-certification for flight. 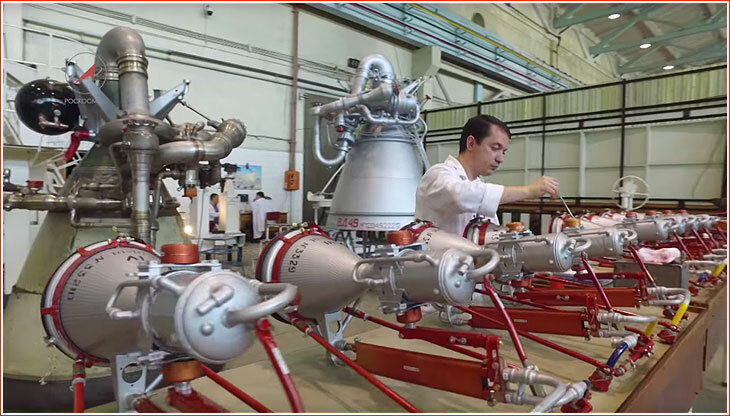 On March 30, the head of NPO Energomash Igor Arbuzov was quoted by the official Russian media as saying that all 71 RD-0210 and RD-0212 engines for the second and third stages of the Proton rocket were defective and needed to be re-build. Arbuzov said that the first refurbished engines would be shipped in May and that most of the repairs would be performed during the rest of 2017, but the work would be fully completed only in 2018. By the end of April, Khrunichev officials reserved a range dates in Baikonur for the return-to-flight mission with the EchoStar-21 communications satellite from May 29 to May 31. 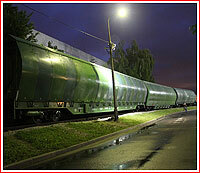 A Baikonur-bound train carrying stages of the Proton rocket for the EchoStar-21 mission left the assembly factory in Moscow during the night from April 27 to April 28. Around the same time, the Blagovest communications satellite for the Russian Ministry of Defense was expected to ride Proton at the end of June and the launch of the Amazonas-5 satellite for Hispasat was expected at the end of July. Proton lifts off on June 8, 2017, with EchoStar-21 satellite. After a nearly year-long hiatus, Russia's workhorse Proton-M rocket lifted off on June 8, 2017, successfully delivering the EchoStar-21 communications satellite into its planned orbit. After the completion of the EchoStar-21 launch, the Proton flight manifest listed a total of four missions in 2017, including two launches for the Russian government and two flights with foreign commercial communications satellites. At the time, one Proton's provisional launch with a trio of Russia's GLONASS navigation network has already been ruled out before the end of the year. 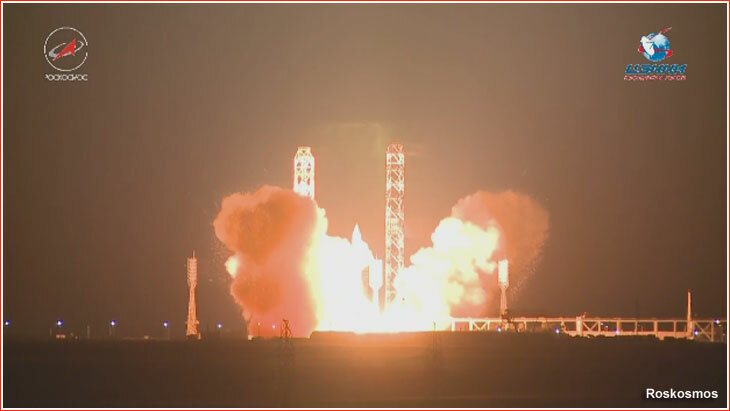 The second Proton mission of 2017 lifted off with the first Blagovest (Kosmos-2520) communications satellite for the Russian Ministry of Defense. The launch took place as scheduled from Pad 24 at Site 81 in Baikonur Cosmodrome on August 17, 2017, at 01:07 Moscow Time (6:07 p.m. EDT on August 16). The rocket carried the Blagovest No. 11L military communications satellite. 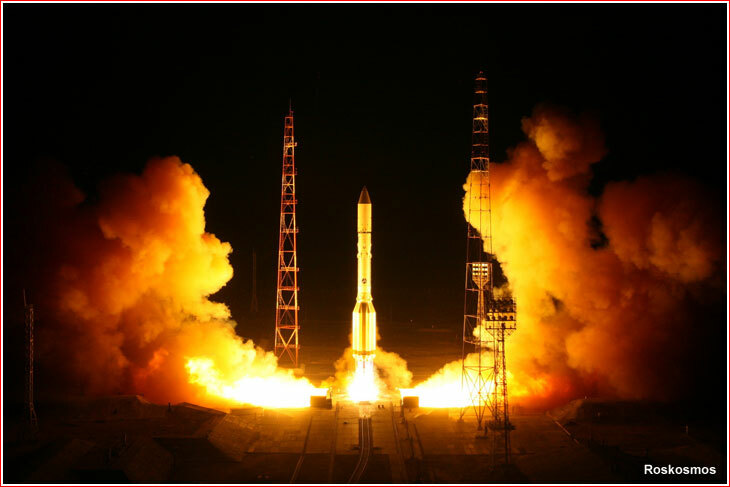 During its third mission in 2017, the Proton-M rocket launched on September 11, successfully delivering the Amazonas-5 communications satellite for the Hispasat Group based in Madrid, Spain. This was the last commercial payload launched by Proton in a year, as customers began abandoning the vehicle. As many as five potential passengers were reportedly lost in the second half of 2017.